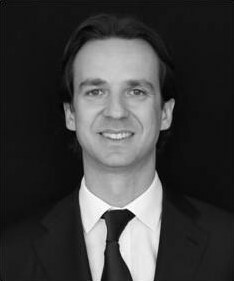 Ludovic joined Savigny Partners from a French family office, Sofinavi, where he was an Operating Partner (Gien, Comptoir de Famille). During his tenure Ludovic managed a number of the firm’s direct investments and held operational roles across several portfolio companies, including launching and developing Comptoir de Famille (home accessories) in the US, and serving as CEO of Faïencerie de Gien (a member of Comité Colbert) before Sofinavi sold the company in 2014. Prior to Sofinavi, Ludovic worked for an Asian family office, NXMH-NXC (owner of Stokke), focused on retail and luxury goods investments in Europe. Ludovic also worked in banking and in consulting at JPMorgan, BNP Paribas and Accenture. Ludovic graduated from Columbia Business School in the US, EDHEC in France, and ICADE in Spain. In 2011, Ludovic took a sabbatical from Sofinavi to help a Korean entrepreneur (Jay Kim – Nexon NXC) set up a Benelux holding (NXMH) with the view to invest in the retail and luxury goods sector in Europe. Ludovic accompanied NXMH in its first year of operations, generating significant deal flow and one investment. Ludovic started his career as a consultant with Accenture, before moving to investment banking, working at JPMorgan in Leverage Finance and at BNP Paribas in the Corporate Finance Group before joining the CEO’s office. Ludovic holds an MBA from Columbia Business School and a BA in business and finance from EDHEC in France and ICADE in Spain. He speaks French, English and Spanish.